N.W.A., Deep Purple and Chicago are among the musicians chosen to join the Rock and Roll Hall of Fame in 2016, organizers announced on Thursday. Singer Steve Miller, who crosses multiple genres from blues to pop, and 1970s rock band Cheap Trick will round out the five inductees, which were chosen by fans and more than 800 voters of the Rock and Roll Hall of Fame Foundation. Artists are eligible for inclusion in the Cleveland, Ohio-based attraction 25 years after the release of their first recording. Pop singer Janet Jackson, progressive rock band Yes and Britain's The Smiths were among those on the short list but who failed to make the cut. Formed by five rappers including Dr Dre and Eazy-E in the troubled Compton neighborhood of Los Angeles, N.W.A. revolutionized the music scene in the mid 1980s with lyrics drawn from the violence, crime and anti-police sentiments that the rappers themselves experienced growing up. 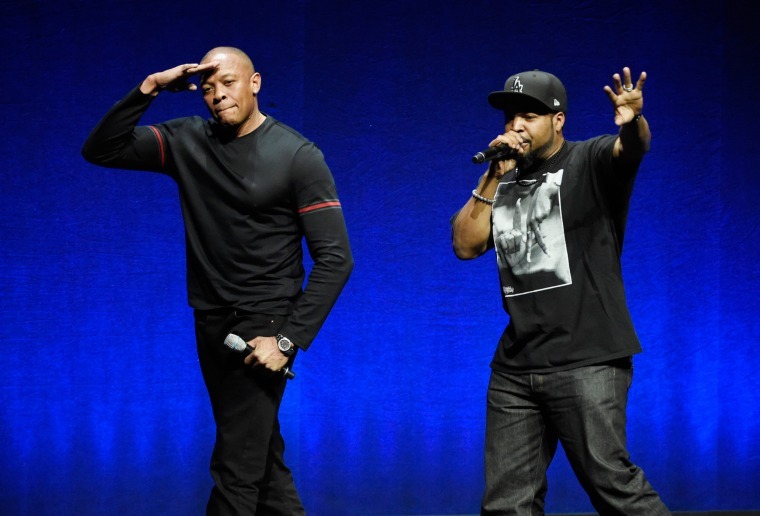 They went on to sell more than 100 million albums and their story was chronicled in this summer's hit movie "Straight Outta Compton," which has been nominated for a Screen Actors Guild award. Deep Purple, formed in England in 1968, are regarded as heavy metal pioneers thanks to their ear-splitting live shows, ground-breaking albums and flagship track "Smoke On The Water." Cheap Trick "display a musical consistency over almost 40 years," Hall of Fame organizers said in a statement, while Miller, 72, has moved from blues to pop and back again, producing classic hits like "Fly Like an Eagle" and "Take the Money and Run." Chicago, who broke onto the music scene in the late 1960s, fused jazz and rock to produce hits like "25 or 6 to 4" and the romantic ballad "If You Leave Me Now." The 2016 induction ceremony will be held in New York on April 8.